Most people donâ€™t like it. Many avoid it. Very few try and do it. Those that doâ€¦ are pretty amazing in my book. I admire people that take a stand (whether I agree with it or not) on what they believe in. I took a stand in 2010 to help the unemployed community in New Jersey and get Americanâ€™s back to work. I also admire community. Towns that come together to support local businesses, communities of people who are out of work, people with similar backgrounds/beliefs and most recentlyâ€¦ a tight knit community I was fortunate to meet while in Miami. My husband and I love to eat with the locals when we travel and since we were in Miami we needed to have traditional Cuban food. After asking around we learned that Versailles (located in Little Havana) was the place to eat in Miami. We were also told to make sure we had a cup of coffee next door after our meal. So on Wednesday, July 11, 2012 my husband and I left our hotel, hopped in a taxi and headed to Versailles. Where we had a pretty amazing meal. We then did as we were told and went next door (operated by the same family) and had coffee. My husband had the traditional Cuban CafÃ©, while I opted for the CafÃ© Con Leche with evaporated milk (it really does make all the difference). It was hands down the best cup of coffee I ever had. I digress. While we stood at the outdoor cafÃ© sipping our coffee and my husband smoking a cigar, I noticed all the men outside were sharing coffee. A man would have a big cup of coffee then pour a little into small cups and pass around to everyone. They were a community. I asked one of the men what they were drinking and it was just a larger version of what my husband had. Somehow this man and I began talking (although he didnâ€™t speak much English). Despite our language barriers we were able to communicate. He was Cuban. He began to tell me how all the men standing there were political prisoners from Cuba. Every Wednesday at sundown this group of Cuban men gather together, share coffee and host a vigil for those still imprisoned in Cuba and those who have passed. One by one more men joined the group. A few wives were there as well. The gentleman introduced us to everyone that came over. Some spoke English, most did not, yet we were able to communicate. That man was in prison for 27 years, that man 19 years with his wife. The stories were incredible. What were the odds that I would be in this place at this time to experience something so incredible. It came time for the vigil and they asked us to participate. We were both given a candle. The vigil was done in Spanish, followed by the Cuban anthem. Throughout our talk they stressed the importance of change. We gave our candles back and one of the men came over to me, took his white bracelet off and gave it to me. It said CAMBIO. Which translates to CHANGE. 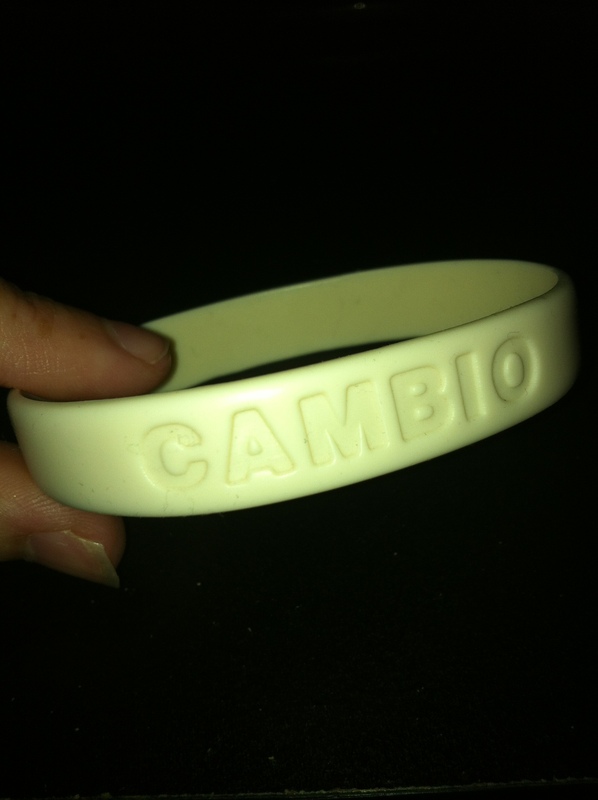 60 students (and probably more) were arrested in Cuba for wearing this white CAMBIO bracelet. It is considered a criminal offense in Cuba as freedom of speech is prohibited. I found this video regarding the braceletâ€™s being worn in Cuba. 14,000 men and boys were executed in Cuba in the 1960â€™s and this group of men survived. I admire their community and their desire for change. When I was in college I was in Delta Phi Epsilon. A few months ago I was asked to sit on the International Governing Board for Delta Phi Epsilon. 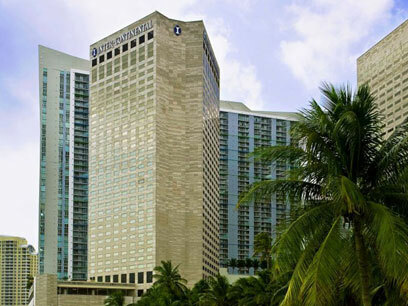 Earlier this month my husband and I flew out to Miami to attend the 2012 Delta Phi Epsilon Convention being held at the InterContinental Miami. The moment we arrived to the moment we left nothing was less than amazing. 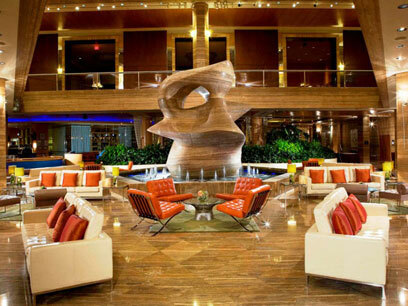 We walked in to the beautiful lobby and checked in at the front desk. To our surprise we had a suite with Club Lounge access. The suite was incredible! All I kept saying was why would anyone stay anywhere else. The suite had a his and hers bathroom as well as his and hers closets, a living room, foyer and a large bedroom. Not to mention a gorgeous view of the Biscayne Bay. The staff was incredible helpful at the front desk, concierge, the pool area, restaurants, I mean everyone. I even had the opportunity to meet the Marketing & Communications Manager at the hotel. I was tweeting the whole time I was there and we ended up meeting up. Ahh I love social media! So I mentioned we had a suite but what is the Club Lounge access you ask? We had complimentary breakfast every day, complimentary tea time as well as a happy hour. The staff in the lounge were very helpful when asking their opinions on what to do and where to eat in the area. The pool was beautiful and overlooked the bay. The outdoor area was very well maintained and the bartenders outside made a mean mojito. I heard through the grapevine that they are working on some renovations and will be showcasing them in the fall. I canâ€™t wait to return. I canâ€™t imagine it getting better than it already is. 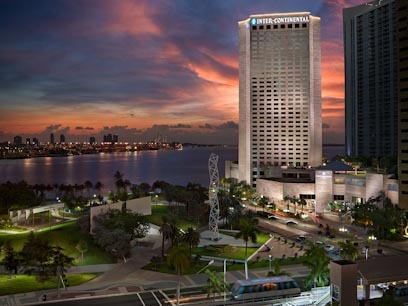 Rising 34 stories above shimmering Biscayne Bay, the InterContinental Miami brings a new level of elegance to Miamiâ€™s downtown hotel accommodations. We offer 641 spacious guest rooms, including 34 suites and 103 Club InterContinental rooms. 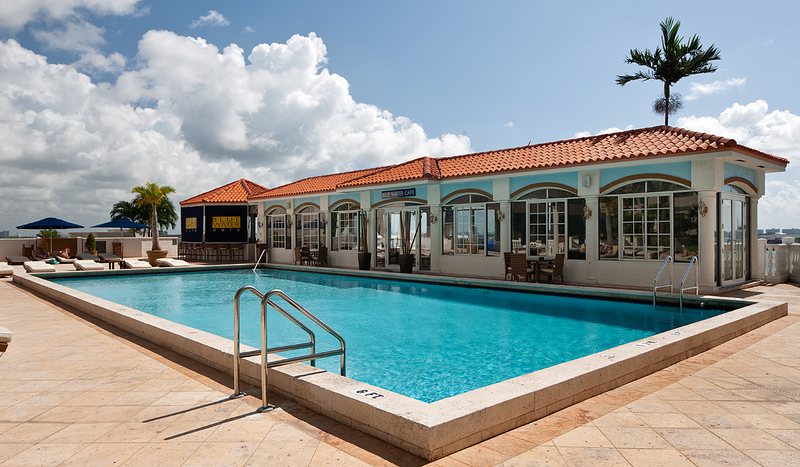 Whether in town for aÂ wedding, Â business meeting, Â or simply to enjoy the breathtaking location with one of ourÂ vacation packages, Â youâ€™ll unwind in spacious guest rooms and suites that are among the largest in Miami. 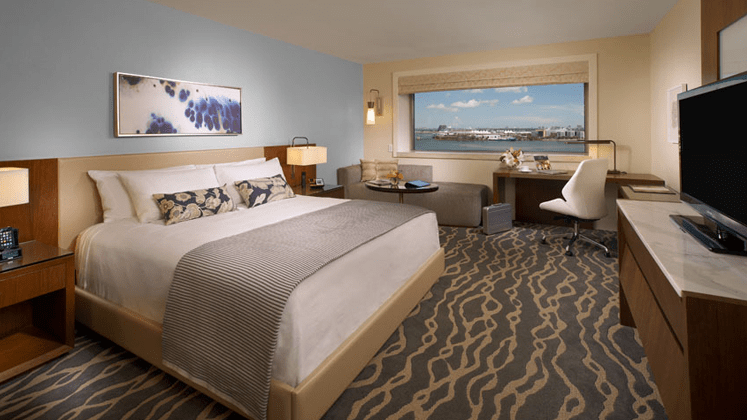 Spacious luxurious guest room with contemporary amenities and decor overlooking beautiful Biscayne Bay. Access to the InterContinental Club Lounge on the 29th floor offering complimentary Continental Breakfast, beverages throughout the day and Hors oeuvres in the evening hours. *Disclaimer â€“ I was not required to write this post. The opinions expressed here are my own.